I love all the fresh colors that are summoning spring closer to us. I focused on the Pinks and Oranges with a bit of the Green from the board. 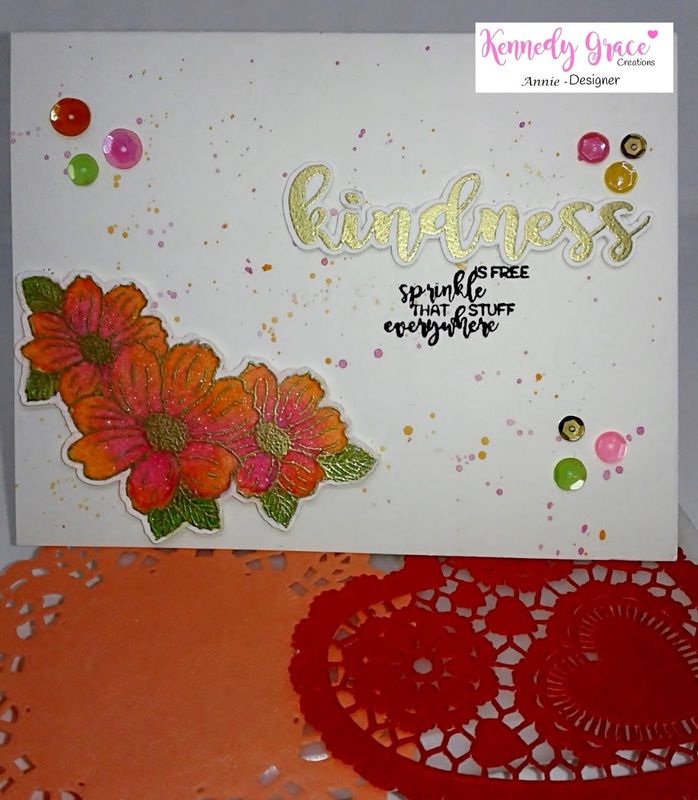 I created this card using the Kindness Medley set along with the Rainbow Sherbert Sequins mix which you can purchase at the Kennedy Grace Creations Store. I did some water coloring with my Faber Castell water color pencils on the Gold embossing flowers. I also did a few splatters. Thank you for stopping by today and remember to Sprinkle some KINDNESS!